Degenerative disc disease is one of the most common causes of low back pain and neck pain, and also one of the most misunderstood. Simply put, degenerative disc disease describes the symptoms of pain and possibly radiating weakness or numbness stemming from a degenerated disc in the spine. 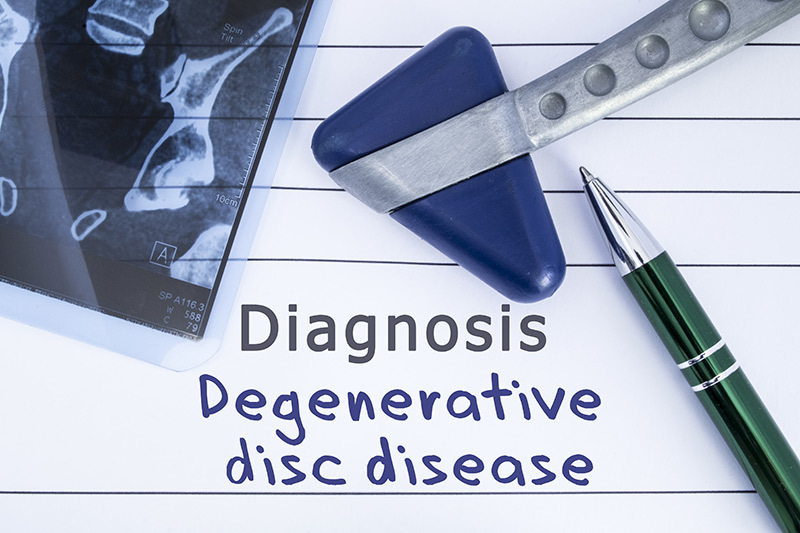 While the definition sounds simple, many patients diagnosed with degenerative disc disease are left wondering exactly what this diagnosis means for them. Degenerative disc disease is not really a disease but a term used to describe the normal changes in your spinal discs as you age. Spinal discs are soft, compressible discs that separate the interlocking bones vertebrae that make up the spine. The discs act as shock absorbers for the spine, allowing it to flex, bend, and twist. Degenerative disc disease can take place throughout the spine, but it most often occurs in the discs in the lower back (lumbar region) and the neck (cervical region). Often, degenerative disc disease can be successfully treated without surgery. One or a combination of treatments such as massage therapy, physical therapy, chiropractic manipulative therapy (CMT) and other chiropractic treatments and osteopathic manipulation.